Newmarket, NH; April 14, 2017 - Proulx Oil & Propane is pleased to announce an addition to our sales force and welcomes Kevin Wood to the position of Sales/Account Manager. This position focuses on sales of liquid products, oil and propane, to all new construction projects, builders and developers, as well as to all residential and commercial consumer accounts throughout New Hampshire, Southern Maine, and North Shore Massachusetts. Kevin will participate in builder and realtor associations as well as tradeshows and chamber of commerce memberships. "We are pleased to have Kevin join our sales team at Proulx where he will add depth and strength to our organization and enhance our ability to respond to growing demand for our products and services. Kevin's extensive experience in the propane industry is a valuable asset to our customers and to the communities that we serve", said Steve Castle, Operations Manager. Kevin's background includes U.S. military service with four years of service in the U.S. Coast Guard. Upon honorable discharge, he has made both Southern Maine and New Hampshire seacoast areas his home, owning and operating a small business in Wells, ME for 14 years. He then joined the propane industry in 2004, gaining valuable industry experience in the subsequent 13 years while serving in various capacities which include service technician and service management functions and allowing a natural progression into his sales role. 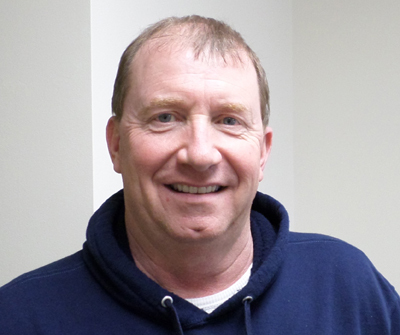 Kevin currently resides in Somersworth, NH and has three children also keeping him active and fulfilled.